Brisbane & Sydney Vintage Watches (Fredman SVW) have come together to become Vintage Watch Co., home to all things watches for the buyer, seller and collector. Our Sydney store was established in 1994 and is located in Sydney’s prestigious Strand Arcade in the heart of the CBD. Brisbane opened in 2003 in the art deco styled Brisbane Arcade. 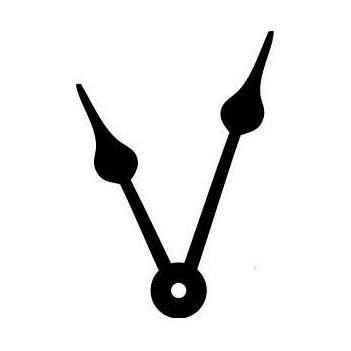 Both stores offer you a wide selection of new, modern and vintage watches along with an assortment of watch accessories. Our ever changing selection of modern and vintage pieces include Rolex, Omega, IWC, Breitling, Patek Philippe, Panerai, Cartier and Tag Heuer. Our guiding philosophy has always been to source unique pieces in superior condition at a competitive price, all backed by a 12 month guarantee. 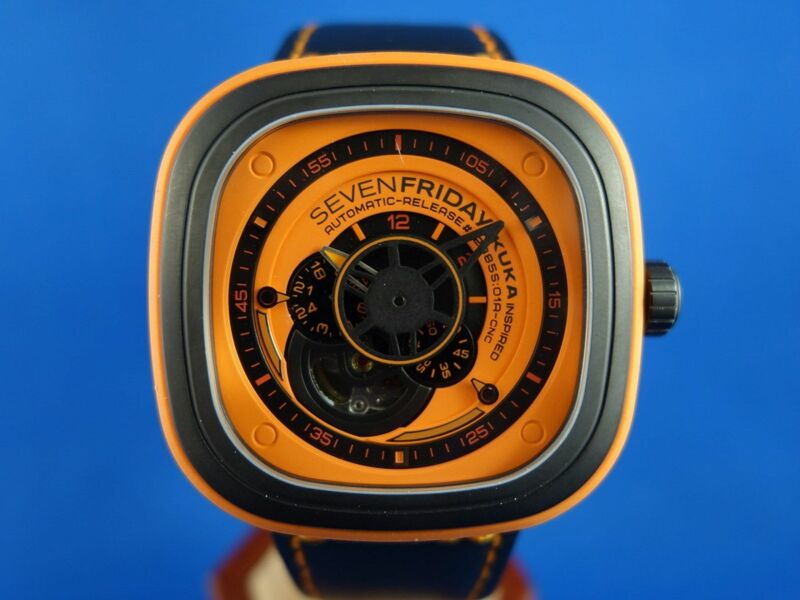 Men's Seven Friday Orange in stainless steel and orange silicon. Orange exhibition dial with a window to display the balance and sub dials for 24 hour indication at 9 and constant running seconds at 4. Large 47mm square case with integrated lugs and rounded edges. Soft leather strap with Seven Friday signed buckle. A real statement piece that looks like no other watch you'll see. Brand new with 2 year manufacturers warranty and presented in a wooden packing crate box. VWC is the authorised dealer for Seven Friday for Brisbane.